Elixr Coffee, best known for its often crowded, carefully decorated flagship location hidden away on Sydenham Street, will open a new, sprawling cafe in Callowhill next month. The new shop will be in the Goldtex Building on 12th & Wood Streets, in the space once occupied by the now-shuttered Brick & Mortar. The 2,000-square foot space will include a roastery and “omakase coffee” tasting bar, offering five-cup coffee flights for the truest caffeine aficionados among us. Roaster Evan Inatome introduced Philly to Elixr in 2010, first working out of the space that’s now the Walnut Street Cheesecake Factory before finding its home off Walnut Street in 2012. 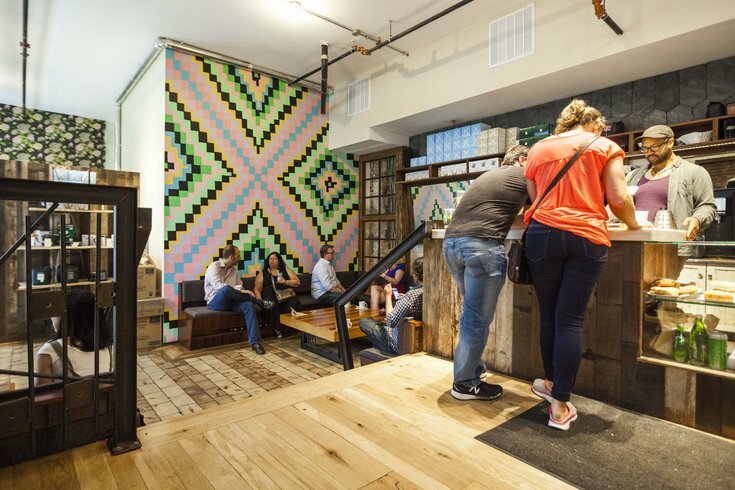 The franchise has grown to include a coffee bar in University City’s Institute for Contemporary Art and as the coffee of choice at Double Knot. Since the pre-Cheesecake Factory days, Elixr roaster Evan Inatome has garnered many accolades for his coffee, placing in the top 10 for three consecutive years at the U.S. Roasting Championships. Elixr barista T. Ben Fischer just placed second at the U.S. Barista Championship in Seattle last month. The new Elixr space was first announced more than a year ago after big winnings during 2017’s U.S. Coffee Championships. The Callowhill location, in addition to giving off a similar aesthetic to the Sydenham shop, will feature glass doors the give customers a look into the roasting process. Elixr Callowhill is tentatively scheduled to open June 11 and will operate seven days a week, from 7 a.m. through 5 p.m.